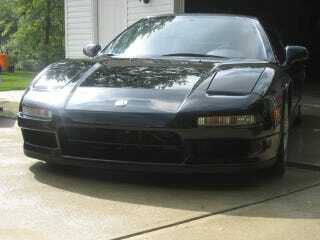 well, my friend is selling his 1994 NSX.... black on black. It is very clean and in most excellent shape. He's a very meticulous man. 1994 Acura NSX for sale. Last year for the hard top. First year to have the updated wheels. This car is serial # 76. Only 79 black on black were made in 1994. A collector. 56,000 miles! PERFECT! Modifications: lowering spring, Science of Speed intake, K&N Filter, Tie-Tech exhaust system, wheel spacers, clear mask. Never driven in the rain! Garage kept in Car cover and Car Jacket in winter. Serious inquiry please.